Bread and Butter - another seafaring tale. Poetic Justice - A true tale from my days at sea. 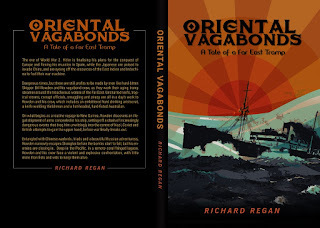 With these words, the Branch Secretary of the Merchant Service Guild offers to help Captain Rowden, the master of the tramp steamer Oriental Venture in my novel Oriental Vagabonds, find a replacement for his third mate who has jumped ship in Sydney. Rowden takes up the story. It was cooler under the fans in the bar of the hotel. It was only a short walk along Sussex Street from the Guild’s office, but in my shore-going suit I was suffering in the fiery noonday heat. I gratefully removed my hat and mopped my brow with a large checkered handkerchief. It was lunchtime, and as a refuge for hot, thirsty men, the pub was doing a brisk trade. The Guild secretary slid some coins onto the zinc counter and returned with two large, frosted glasses of ice-cold beer. During a recent brief summer holiday in Sydney, I put Captain Rowden’s description to the test. The office of the Merchant Service Guild (today known as the Australian Maritime Officers Union) is located at 377 Sussex Street in what is, today, the Labour Council Building adjacent to Trades Hall. The walk north to 115-117 Sussex Street, the site of the Royal George, is a distance of about 1 km or, in Captain Rowden’s day, about 1000 yards (he would have said about 5 cables). Even in shorts and a short-sleeved shirt I was still warm by the time I had managed the distance, and noted several pubs along the way that would have been closer. 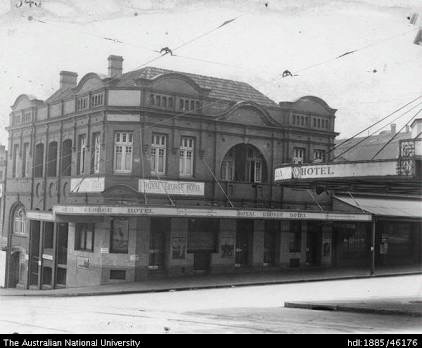 Located on the corner of King and Sussex Streets, the Royal George was, however, well situated about halfway along the line of finger jetties that used to occupy the east side of Darling Harbour. Many well-known Australian shipping companies used those wharves, including Howard Smith, Huddart Parker, Union Steam and Adelaide Steam Ship. 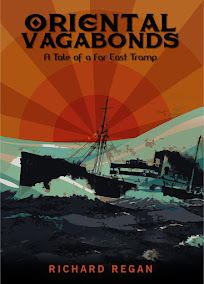 Perhaps it was one of their ships that had sacked James McGrath – who Rowden meets in the bar and hires – for fighting. The Royal George also had strong left-wing connections. It was a popular watering hole for members of the Australian Labor Party, including former New South Wales State Premier Neville Wran. His wife and mine attended the same pre-natal classes, but that is another story. Germaine Greer, art historian and writer Robert Hughes, and theatre director Richard Wherret were also regulars. When you arrive at the corner of King and Sussex Street, however, you will not find the name of the Royal George Hotel. In 1997 it was renamed the Slip Inn, a play on the fact that the site was formerly occupied by the Patent Slip Hotel that sat adjacent to Patent Slip Wharf, used for the repair of small vessels. The photograph below shows the Royal George as it appeared in 1936, shortly before Rowden’s visit, with the traditional Australian pub’s awning and windows decorated with adverts for beer and sporting activities. This is the Slip Inn as it appears today, with the awning removed, but still instantly recognisable. The interior would not be, though. All traces of zinc-topped tables and tiling have been removed. The décor is light and colourful, and instead of thirsty seamen, wharfies and shipping clerks, a young mix of tourists and locals enjoy its boutique beers, wines and Mexican food. Jo-Anne and I drank ice-cold schooners of Coopers Pale Ale, and I imagined Captain Rowden looking across the bar at a young unemployed third mate seated in the corner, with ginger hair, freckles and a shining black eye. The Slip Inn still has claims to fame though. In 2000 it was the site of the first meeting between Mary Donaldson and her future husband, Crown Prince Frederik of Denmark. If you are ever visiting Darling Harbour in Sydney, it’s well worth a visit. Available from Amazon, Nook, Kobo, Angus & Robertson, Booktopia, the Map Shop, Fremantle and Underground Writers Bookshop.